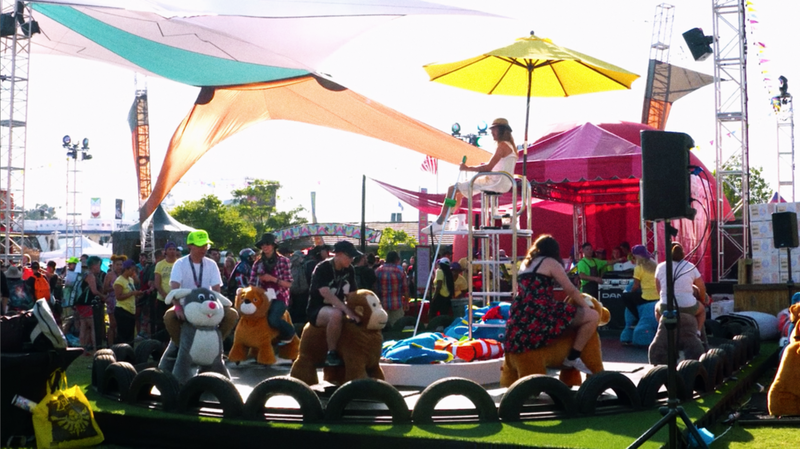 Grandesign partners with Adult Swim annually to produce On The Green, a favorite event among Comic-Con fans. 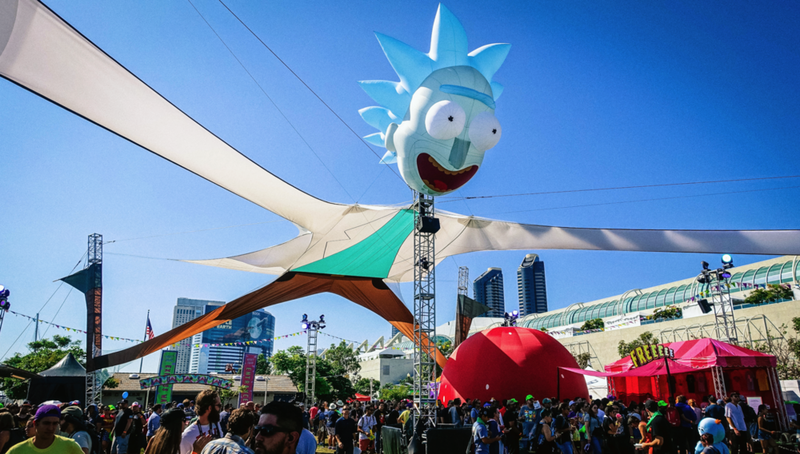 Activities have included the Meatwad 360 Full Dome Experience, Rick and Morty virtual reality, Adult Swim themed classic carnival games, made-to- order screen-printed t-shirts and the largest Rick known to mankind. 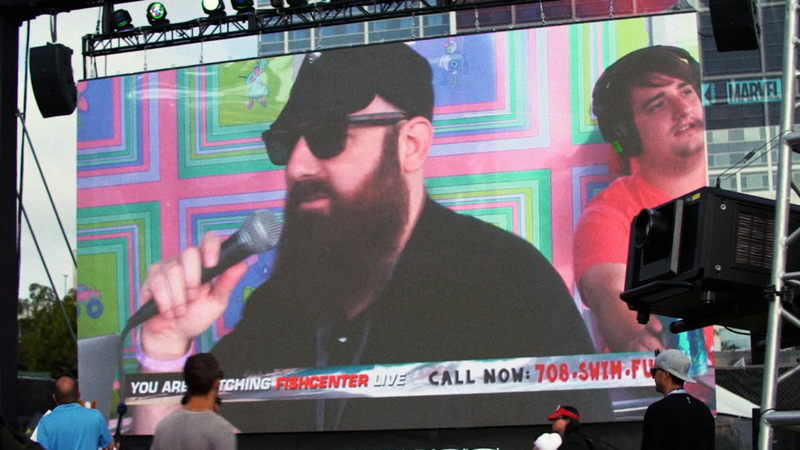 Our most recent activation featured a broadcast booth, where talent live streamed celebrity interviews and onair interactions with event attendees. Once the sun goes down and most of the Comic-Con events close their doors, On The Green hosts screenings of never-before-seen programing on a giant LED wall.